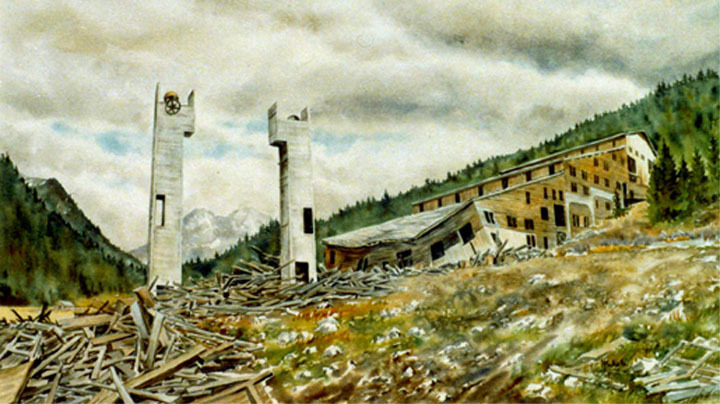 Elkhorn Mine - near Butte Montana - Watercolor on paper. 15in. X 25in. One of a series of paintings made for gold mining companies in Vancouver, B.C.